FORCING PEOPLE TO DO THINGS AGAINST WHAT THEY BELIEVE IN ! HERE COMES THE CIVIL WAR !!!!! Mandated Vaccines: Infanticide in slow motion. 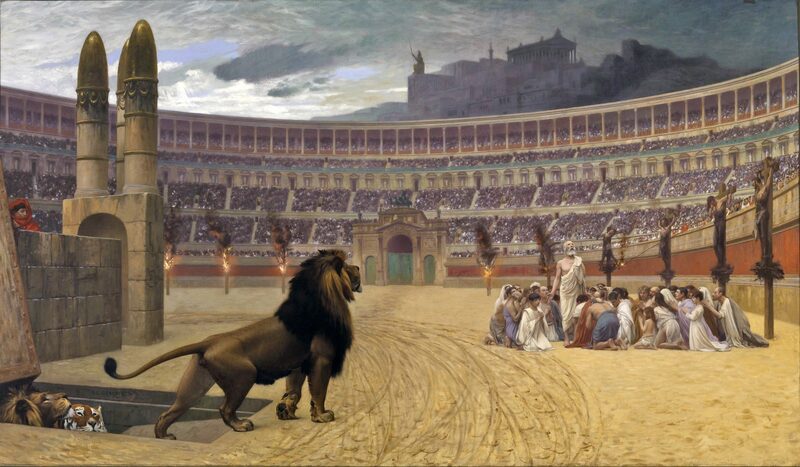 Ethnic cleansing by the persecutors of Truth against the Church. Fascism and Tyranny as we see here with threatening to force vaccinations is a consequence of the church falling away in America (if NC Senators like this truly represent the people and they voted him in, then the people ,his supporters, need to confess their vote as misguided or else they are not at all Christians. Real Christians do not persecute and use domestic terrorism legislation to threaten life. If Americans exercise their constitutional right of self-defense, they will not stand (legislation or not) for this act of terrorism by so-called Senators against the lives of Americans. This so-called Senator Tarte is not a representative of a legitimate government according to his actions, even if he was voted in by a majority. God ordained what a 'just' government is and its purpose, and a majority cannot undermine that definition and purpose. Religious exemptions to anything is just pie in the sky, and it won't work. He and other like-minded legislators will have to find this out. Nor will legislating morality work. God is in control of people, not man. I serve Him only. Lord have mercy on our sick (spiritually), confused nation. An ashamed patriot from NC. But I look with confidence and hope for what's ultimately to come. Blessed Resurrection Day to all believers! Perhaps "Dr." Offit should be required to get 10 vaccines a month until he has had 10,000 of them - as a condition of his being allowed to continue speaking about this issue. Then let's see how quickly he gets leukemia or lymphoma or Alzheimer's... And if he refuses, then at least we will know his real feelings on the matter! BTW - while what I am suggesting may seem harsh, consider this - it is not the number of "shots" one should consider, but rather the number of "doses." The current CDC schedule requires 1 dose at birth, 8 at 2 months of age, 7 at 4 months, and 8 more at 6 months. One more is scheduled for 7 months, and a total of 11 are supposed to be given between 1 year and 18 months of age. That's a total of 36 vaccine doses by the age of one and a half years - in a body that weighs less than 30 pounds that entire time. I'd bet Offit weighs at least 6 times that much and shouldn't need to be concerned about the effects of 10 doses each month - based on his own comments. Regarding the comment by the judge who didn't want the media publishing any information about vaccine issues and injuries, it brings up my anger that 'drugs' are pushed by TV advertising and other 'media' publications. They spend so much money on advertising (more than on research), I'm surprised anything concerning vaccines gets published now; I don't see it. Their big money buys a lot of influence everywhere you look. Maybe they bought this judge too? Very well written. So if you get a divorce are the children no longer owned by the state? I wonder if Dr. Offit is up to date on his own vaccine schedule? Somehow, I don't think so. I would like to direct everyones attention to something called a marriage license. Actually it is a marriage CONTRACT. When folks get one of these their parental rights transfer to the state. Sent by email to Roger Madden. No reply received. Roger has an outfit called Fathers United -Save the Children. If he is going to save anyone he must know what is really going on. "THE MARRIAGE LICENSE IS A SECULAR CONTRACT. FOR BUSINESS PURPOSES ONLY! About 15 years ago, my former wife of 26-1/2 years, filed for divorce. We had seven children, five daughters and two sons. Our youngest at the time, our second son, was five years old. At the time, I prepared a counterclaim to the Petition for Dissolution her attorney filed in Domestic Relations (DR) court. I met one afternoon with the head of the Maricopa County Superior Court, Marriage License Bureau, in downtown Phoenix. The marriage license bureau was headed by a young woman of about age 25. I asked her to explain to me the general and statutory implications of the marriage license. She was very cooperative, and called in an Assistant, a tall Black man who at the time was working on an Operations Manual for internal departmental use. She deferred for most technical explanations to her Assistant. He walked through the technicalities of the marriage license as it operates in Arizona. He mentioned that marriage licensing is pretty much the same in the other states -- but there are differences. One significant difference he mentioned was that Arizona is one of eight western states that are Community Property states. The other states are Common Law states, including Utah, with the exception of Lousiana which is a Napoleonic Code state. He then explained some of the technicalities of the marriage license. He said, first of all, the marriage license is Secular Contract between the parties and the State. The State is the principal party in that Secular Contract. The husband and wife are secondary or inferior parties. The Secular Contract is a three-way contract between the State, as Principal, and the husband and wife as the other two legs of the Contract. He said, in the traditional sense a marriage is a covenant between the husband and wife and God. But in the Secular Contract with the state, reference to God is a "dotted line," and not officially considered included in the Secular Contract at all. He said, if the husband and wife wish to include God as a party in their marriage, that is a "dotted line" they will have to add in their own minds. The state's marriage license is "strictly secular," he said. He said further, that what he meant by the relationship to God being a "dotted line" meant that the State regards any mention of God as irrelevant, even meaningless. In his description of the marriage license contract, he related one other "dotted line." He said in the traditional religious context, marriage was a covenant between the husband and wife and God with husband and wife joined as one. This is not the case in the secular realm of the state's marriage license contract. The State is the Principal or dominant party. The husband and wife are merely contractually "joined" as business partners, not in any religious union. They may even be considered, he said, connected to each other by another "dotted line." The picture he was trying to paint was that of a triangle with the State at the top and a solid line extending from the apex, the State, down the left side to the husband, and a separate solid line extending down the right side to the wife, a dotted line merely showing that they consider themselves to have entered into a religious union of some sort that is irrrelevant to the State. He further mentioned that this religious overtone is recognized by the State by requiring that the marriage must be solemnized either by a state official or by a minister of religion that has been deputized by the State to perform the marriage ceremony and make a return of the signed and executed marriage license to the State. Again, he emphasized that marriage is a strictily secular relationship so far as the State is concerned and because it is looked upon as a "privileged business enterprise," various tax advantages and other political privileges have become attached to the marriage license contract that have nothing at all to do with marriage as a religious covenant or bond between God and a man and a woman. By way of reference, if you would like to read a legal treatise on marriage, one of the best is Principles of Community Property, by William Defuniak. At the outset, he explains that Community Property law decends from Roman Civil Law through the Spanish Codes, A.D. 600, written by the Spanish jurisconsults. In the civil law, the marriage is considered to be a for-profit venture or profitmaking venture (even though it may never actually produce a profit in operation) and as the wife goes out to the local market to purchase food stuffs and other supplies for the marriage household, she is replenishing the stocks of the business. To restate: In the civil law, the marriage is considered to be a business venture, that is, a forprofit business venture. Moreover, as children come into the marriage household, the business venture is considered to have "borne fruit." Now, back to the explanation by the Maricopa County Superior Court, Marriage Bureau's administrative Assistant. He went on to explain that every contract must have consideration. The State offers consideration in the form of the actual license itself -- the piece of paper, the Certificate of Marriage. The other part of consideration by the State is "the privilege to be regulated by statute." He added that this privilege to be regulated by statute includes all related statutes, and all court cases as they are ruled on by the courts, and all statutes and regulations into the future in the years following the commencement of the marriage. He said in a way the marriage license contract is a dynamic or flexible, everchanging contract as time goes along -- even though the husband and wife didn't realize that. My thought on this is can it really be considered a true contract as one becomes aware of the failure by the State to make full disclosure of the terms and conditions? A contract must be entered into knowingly, intelligently, intentionally, and with fully informed consent. Otherwise, technically there is no contract. Another way to look as the marriage license contract with the State is as a contract of adhesion, a contract between two disparate, unequal parties. Again, a flawed contract. Such a contract with the State is said to be a "specific perforance" contract as to the privileges, duties and responsibilities that attach. Consideration on the part of the husband and wife is the actual fee paid and the implied agreement to be subject to the state's statutes, rules, and regulations and all court cases ruled on related to marriage law, family law, children, and property. He emphasized that this contractual consideration by the bride and groom places them in a definite and defined- by-law position inferior and subject to the State. He commented that very few people realize this. He also said that it is very important to understand that children born to the marriage are considered by law as "the contract bearing fruit" -- meaning the children primarily belong to the State, even though the law never comes out and says so in so many words. In this regard, children born to the contract regarded as "the contract bearing fruit," he said it is vitally important for parents to understand two doctrines that became established in the United States during the 1930s. The first is the Doctrine of Parens Patriae. The second is the Doctrine of In Loco Parentis. Parens Patriae means literally "the parent of the country" or to state it more bluntly -- the State is the undisclosed true parent. Along this line, a 1930s Arizona Supreme Court case states that parents have no property right in their children, and have custody of their children during good behavior at the sufferance of the State. This means that parents may raise their children and maintain custody of their children as long as they don't offend the State, but if they in some manner displease the State, the State can step in at any time and exercise its superior status and take custody and control of its children -- the parents are only conditional caretakers. He also added a few more technical details. The marriage license is an ongoing contractual relationship with the State. Technically, the marriage license is a business license allowing the husband and wife, in the name of the marriage, to enter into contracts with third parties and contract mortgages and debts. They can get car loans, home mortgages, and installment debts in the name of the marriage because it is not only a secular enterprise, but it is looked upon by the State as a privileged business enterprise as well as a for-profit business enterprise. The marriage contract acquires property througout its existence and over time, it is hoped, increases in value. Also, the marriage contract bears fruit by adding children. If sometime later, the marriage fails, and a divorce results, the contract continues in existence. The divorce is merely a contractual dissolution or amendment of the terms and conditions of the contract. Jurisdiction of the State over the marriage, over the husband and wife, now separated, continues and continues over all aspects of the marriage, over marital property and over children brought into the marriage. That is why family law and the Domestic Relations court calls "divorce" a dissolution of the marriage because the contract continues in operation but in amended or modified form. He also pointed out that the marriage license contract is one of the strongest, most binding contractual relationships the States has on people. At the end of our hour-long meeting, I somewhat humorously asked if other people had come in and asked the questions I was asking? The Assistant replied that in the several years he had worked there, he was not aware of anyone else asking these questions. He added that he was very glad to see someone interested in the legal implications of the marriage license and the contractual relationship it creates with the State. His boss, the young woman Marriage Bureau department head stated, "You have to understand that people who come in here to get a marriage license are in heat. The last thing they want to know is technical, legal and statutory implications of the marriage license." (Laughter) I hope this is helpful information to anyone interested in getting more familiar with the contractual implications of the marriage license. The marriage license as we know it didn't come into existence until after the Civil War and didn't become standard practice in all the states until after 1900, becoming firmly established by 1920. In effect, the states or governments appropriated or usurped control of marriages in secular form and in the process declared Common Law applicable to marriages "abrogated." Please pass this information along and share it as widely as possible. Best regards from Virgil Cooper"
No one who may profit from the sale of and use of a product they are vested in should be considered a viable voice in the argument. Nor, should even social workers who keep and maintain their employment status by stealing children from otherwise loving families be allowed to have a say, nor should any US politician do more than express his or her own opinion and then stand firmly behind the US constitution and our rights as citizens to self-determination and the ability to make decisions for our own children without undue interference from the state. This is just another excuse for dictator wannabes to exert their will over mankind as they have always envisioned their elitist privledge should allow them to do. Obviously, he does not know the Jesus I know, who created us each as sovereign individuals made in His image, and does not force anything on anyone.